A beautiful place that aims to make a guest’s stay as comfortable as possible. 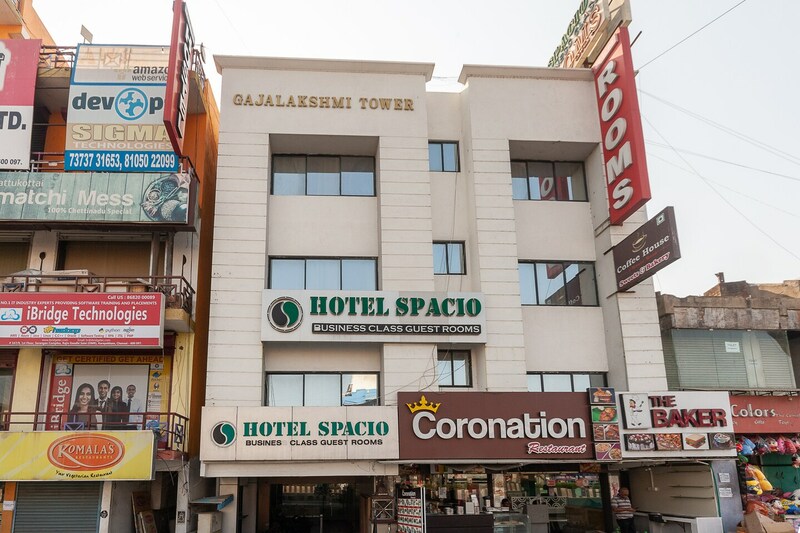 Hotel Spacio is a warm, inviting hotel with a simple and sober decor. The bedrooms at the hotel have a light ambience with light colored walls and dual colored curtains. Rooms also have several shelves attached to the dresser that has flower pots placed on them, making the space pleasant. The hotel provides its guests with free Wi-Fi so that they may remain connected to the rest of the world during their stay at the hotel. Other amenities offered by the hotel are a seating area, elevator and a card payment option.